Violence against women is NOT traditional. Women are honored and considered valuable community members. Respect and non-violence toward all people are essential for healthy families. Yet today, Native women are experiencing domestic and sexual violence at higher rates than other women in the United States. 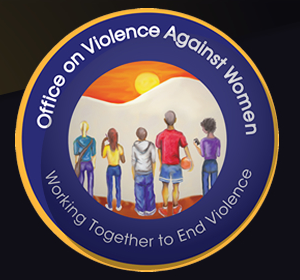 The Coquille Indian Tribe received a grant from the Department of Justice’s Office on Violence Against Women, with a goal of reducing and preventing domestic violence as well as facilitating healing from acts of violence against women and girls. Our program offers educational outreach for prevention and healing in Coos, Curry, Douglas, Lane and Jackson counties. We have a Tribal advocate who can help you navigate resources in your community as well as the resources offered by the Tribe, and who can provide valuable support when making difficult decisions. All interactions with our advocate are respectful and confidential. WARNING: If you are a victim of domestic violence, be aware that your abuser could be tracking your Internet activity. Delete this page from your history before closing your browser. For nationwide resources addressing domestic violence and sexual assault, please click here.